Address: 647000, Taimyrsky АО, Dudinka, Schorsa st., 1. Zapovednik Bolshoy Arktichesky is situated on the north of Krasnoyarsky Krai on the territory of Taimyrsky Autonomous Okrug. The Zapovednik was founded in 1993, its area is 4169,2 thousand ha. It is situated on the northern coast of the Taimyr peninsula and its adjacent islands. The Zapovednik comprises seven departments. The Diksonsko-Sibiryakovsky department (183 thousand ha) includes Sibiryakov’s Island with adjacent small islands and Medusa Bay. It protects arctic ecosystems, the island population of reindeer, nesting sites of geese, gulls, Lagopus mutus and places where birds mass during migration period. The polar fox lives here permanently; polar bear and wolf come in sporadically. Of fish species arctic sisco and sturgeon are characteristic. The department of "The islands of the Karskoye Sea" (371,9 thousand ha) covers nearly 10 middle sized islands and many small islands in the western part of Karskoye Sea. 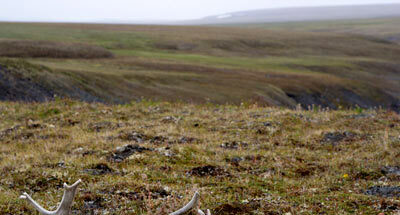 It presents variety of terrains (rocky, sandy, pebbly) and arctic tundra communities. 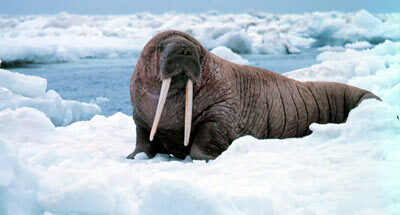 Polar bear, polar fox, seal are common; Atlantic walrus is mote rare. Of the birds gull, jaeger and brant goose can be met. 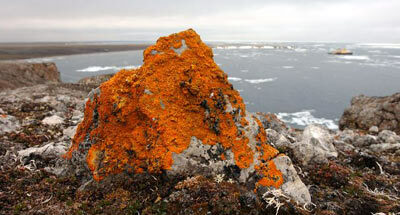 On the island of Uedineniye a colony of ivory gulls, a species of the Red Data Book, is to be found. Pyasinsky department (1067,2 thousand ha) includes the delta of the river Pyasina, the coast of the Pyasinsky Gulf, adjacent territories in the basins of the rivers Khutudabiga, Spokoinaya and Lenivaya, and islands near the coast. The greatest gathering place of the white-fronted goose in Eurasia is situated here. Of rare and disappearing species one can meet here the brant and red-breasted geese, Bewick’s swan, the white-billed loon, the white-tailed eagle, and the peregrine falcon. Great herds of wild reindeer come for the summer and calving. 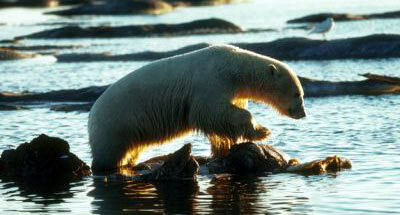 In the delta of the river Pyasina there live shallow-water sisco, sisco, and Arctic sisco. The department of "The Gulf of Middendorf" (68,5 thousand ha) covers the fjord type coast of the gulf, adjacent islands, and part of the river Tolevaya basin with characteristic arctic flora and fauna. The department of "The Archipelago of Nordensheld" (507,7 thousand ha) in the Karskoye Sea protects island ecosystems and shallow waters and nesting places of the brant goose. The department of "The Lower Taimyra" (1874,0 thousand ha) is located in the lower waters of the Lower Taimyra River, on the coast of Taimyrsky Gulf, and Gulf of Toll. The department is characterized with nature of high diversity, from sea-shore valleys to the foothills of the Byrranga Mountains, with absolute heights up to 500 m. On the River Shrenk one may find the greatest char spawning ground of the Taimyr. The department of "the Chelyuskin Peninsula" (34,6 thousand ha) covers islands and a part of the coast with arctic deserts and polar bear migration territories. The Zapovednik also controls the Severozemelsky State Nature Zakaznik of Federal Importance (the islands of the archipelago known as Severnaya Zemlya), founded in 1996 on an area of 421,701 thousand ha.